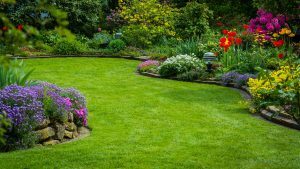 We are Blooms Landcare in Fort Worth, TX, and we are adding beauty and value to properties all over the Tarrant County area through quality landscaping services. We provide the most professional service, quality, and expertise in landscape design, management, installation, and irrigation, as well as sod and sprinkler system installation. Blooms Landcare has established itself as a trusted source within all the landscaping companies in Fort Worth. We use high-quality plant material and state-of-the-art technology to make sure our customers are completely satisfied with the services we provide. Our qualified landscapers in Fort Worth, TX offer the most satisfying service at the most reasonable prices. For more information, call us or contact us online. Landscape lighting can brighten any yard or garden. If you have invested the time and money into creating beautiful landscape design, it only makes sense to be able to see it and enjoy it on those warm summer nights in Fort Worth. Landscape lighting also has many benefits that many people may not think about. Aside from the increased aesthetic value, it also provides added safety and security to your home. If you have a stone pathway to your front door, it could be a liability if someone managed to trip and fall in the dark. Adding illumination along the path can prevent injuries to your guests, as well as increase the “wow” of your home. A well-lit landscape design around your home will also ward off any criminals who are looking to break in. Blooms Landcare can help you set up the perfect landscape lighting for your garden or yard. With the proper landscape design, any yard can add significant value to your property. Landscape design has the ability to change or enhance the character of a home or business. It is a well-known fact that people notice a well-designed and maintained landscape. In the Fort Worth area, it can be complex choosing plants that thrive in the very temperamental weather. It is always best to employ an experienced landscape design technician who has a long-established reputation in Fort Worth. Look no further than Blooms Landcare. Their team of landscaping professionals will work with you to design the landscape of your dreams. Give them a call today.